The cow doesn't seem to concerned...and I'm not sure I would've gotten out to move him, either! i made an ad for VW a while back and this would have been great! Good colors, I like the expression. That's great. A good product shot. 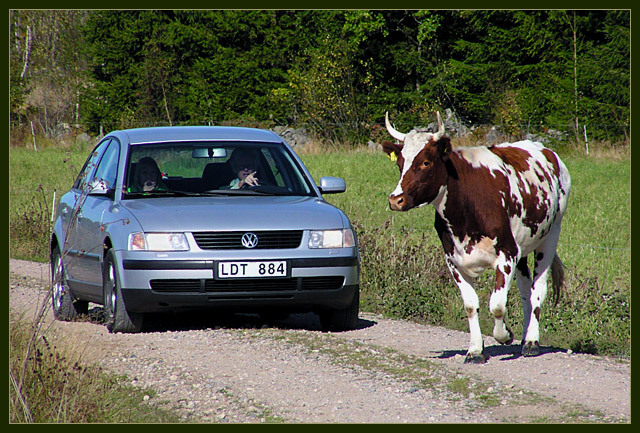 VW or Beef! Proudly hosted by Sargasso Networks. Current Server Time: 04/24/2019 11:51:16 AM EDT.